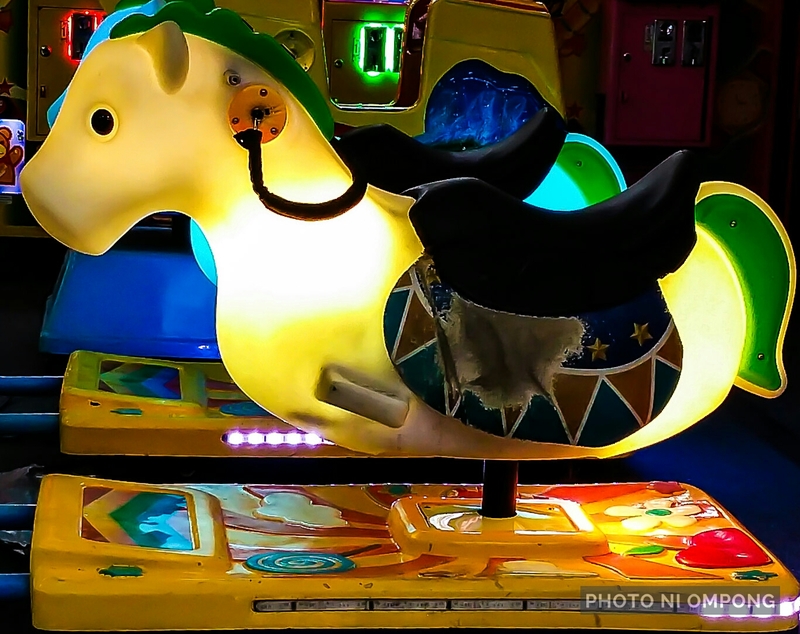 Do you still remember the last time you rode a kiddie horse like this one? Do you miss doing it? Do you want to do it again? Don’t ask me… I tried riding it but the crew told me that I’m too old and too heavy to be on a kiddie horse like this one! Bo-huhuhu! The Green and the Purple…! Hahaha! Yap, even when I’ve thrown tantrums lying there on the ground all tears with sipon, they didnt let me ride it. I never thought about it lately, but does look fun! Huhuhu! Guto ko tumakay ta kabayo!